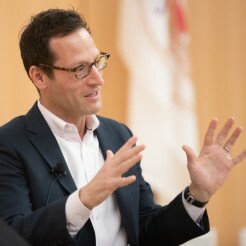 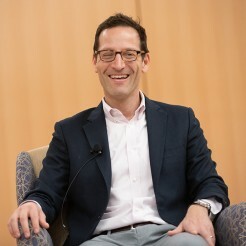 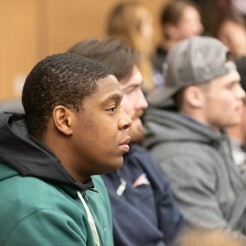 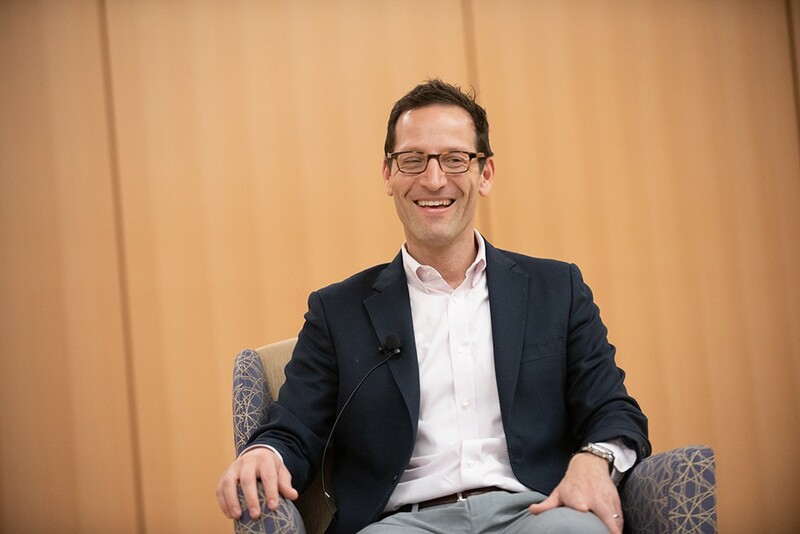 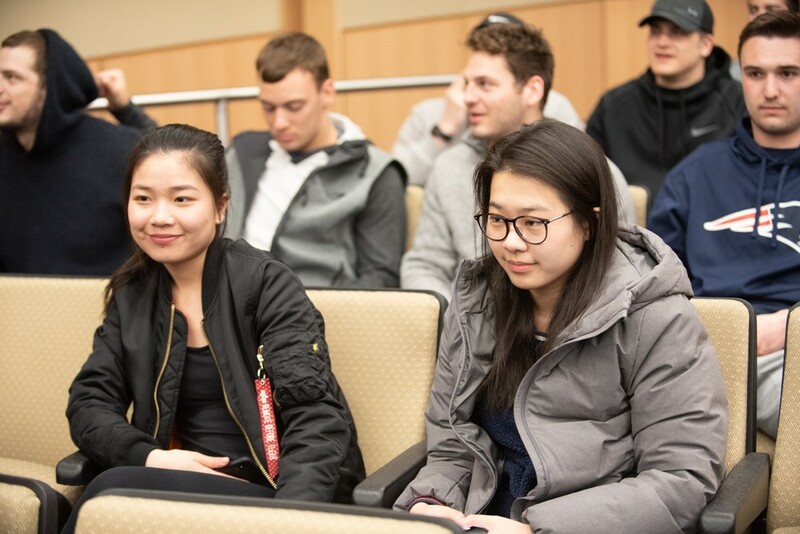 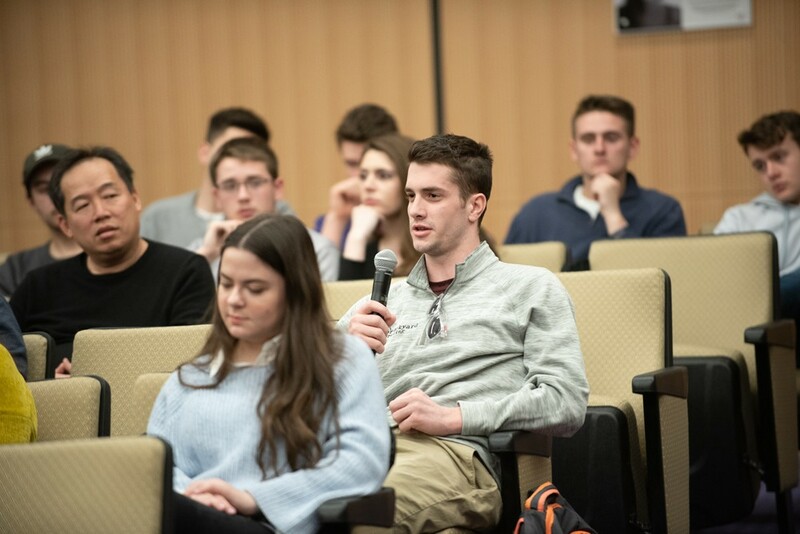 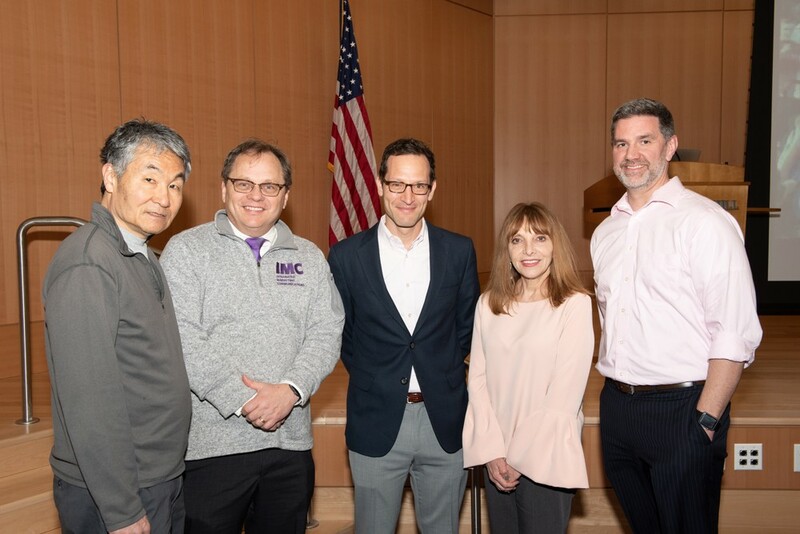 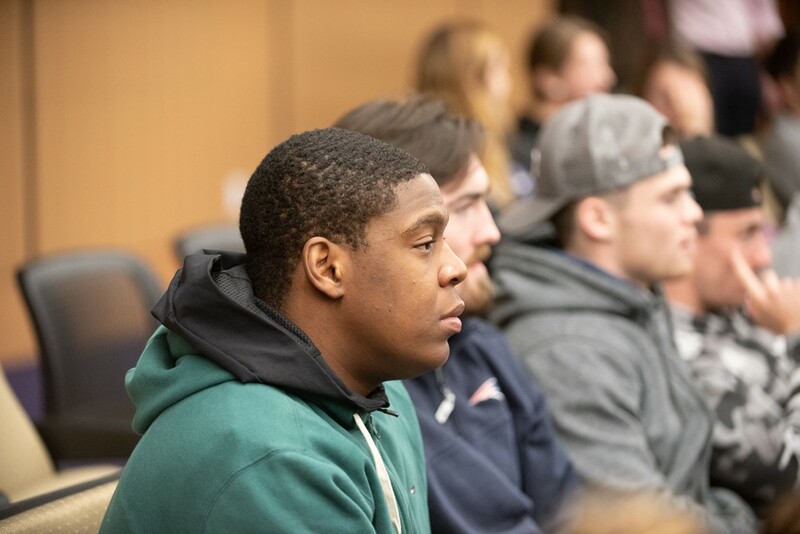 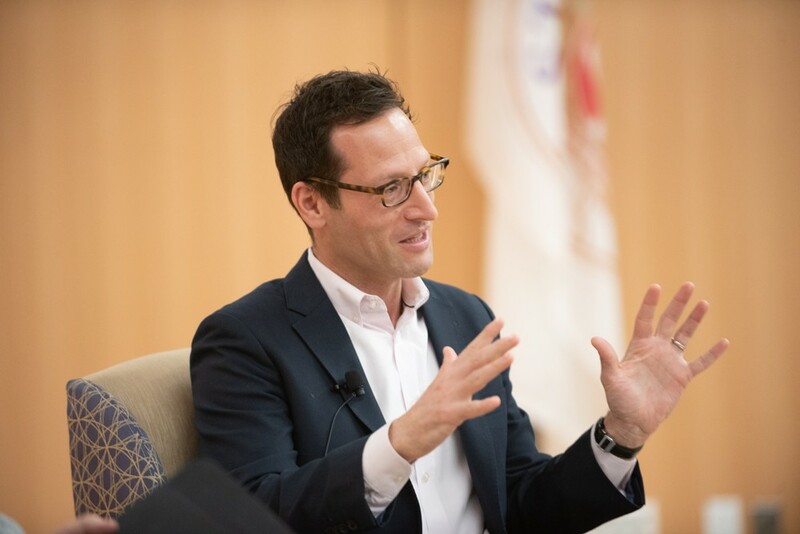 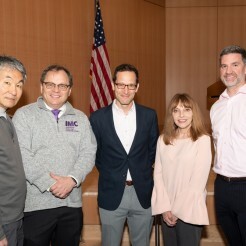 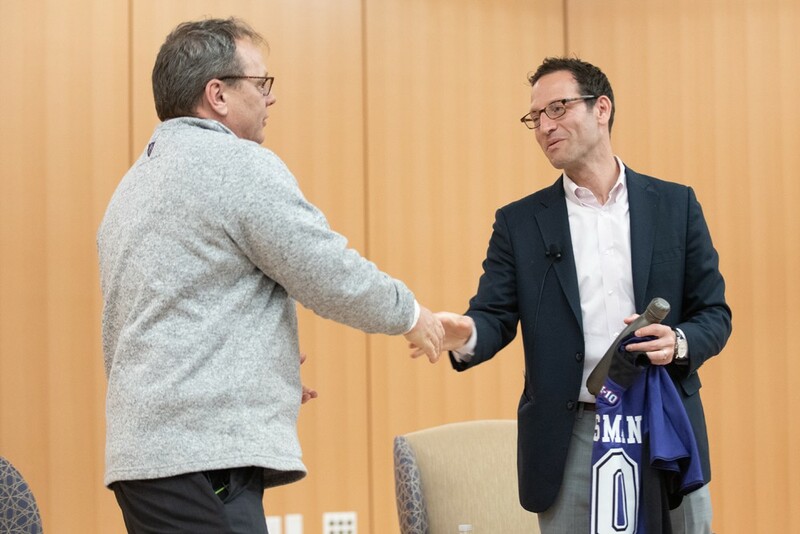 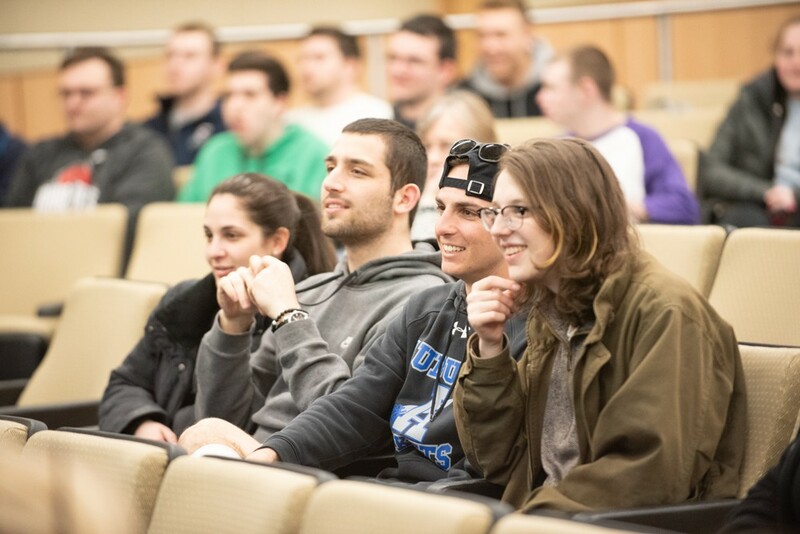 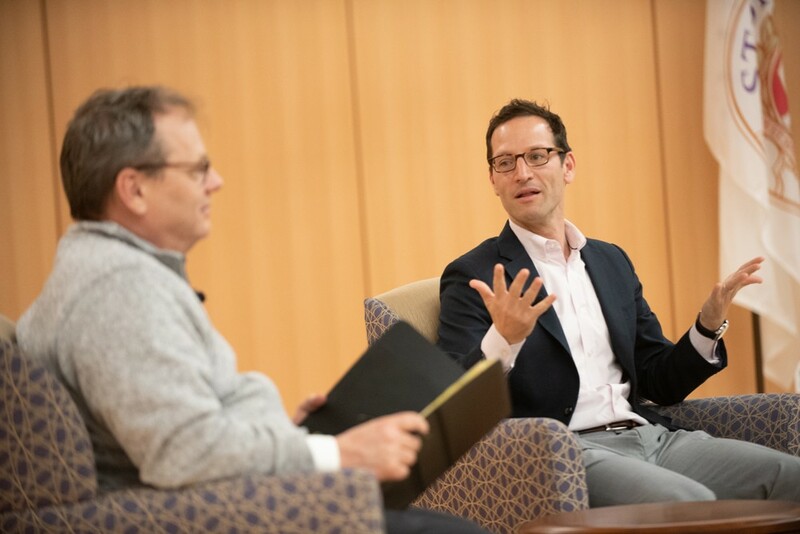 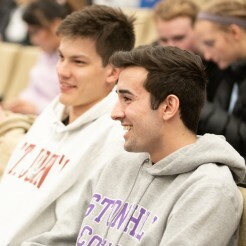 On opening day of the Major League Baseball season, the Leo J. Meehan School of Business hosted Adam Grossman, Executive Vice President and Chief Marketing Officer of the Boston Red Sox, for its C-Suite Speaker Series. 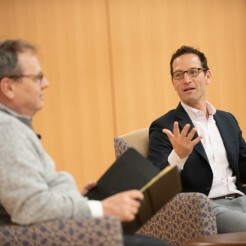 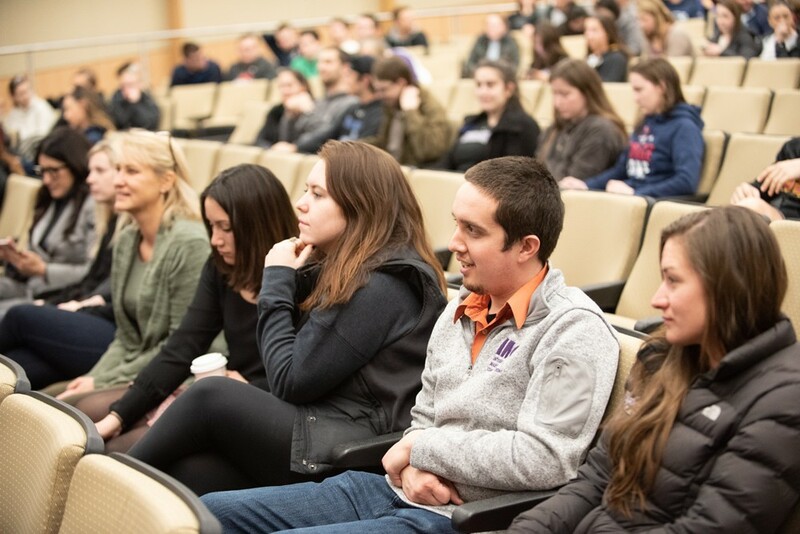 The visit, facilitated by Lee McGinnis, Professor of Marketing and Director of the new Integrated Marketing Communications Master’s degree program, gave Grossman a forum to share his insight with students, staff, and faculty who wanted to learn more about marketing for a major corporation. 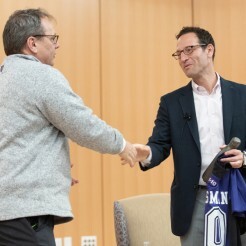 Grossman started by reflecting on the chaos that occurs at the start of a season. 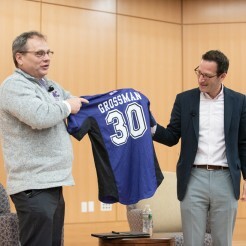 With the first pitch of the year, Grossman said, “it is like writing a new chapter for the team.” Especially when coming off a championship and with a longtime, deeply invested fanbase, Grossman recognizes that the Red Sox must go above and beyond to satisfy expectations both on the field and in the community. 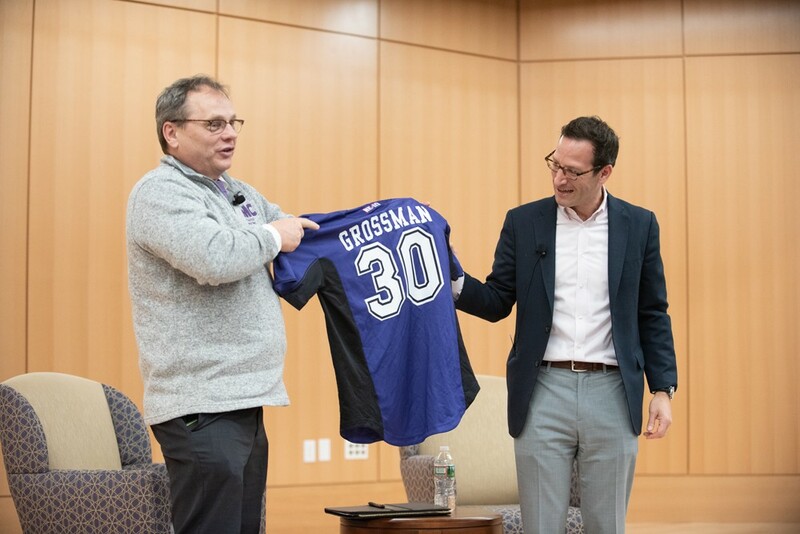 Grossman spearheads campaigns like ”Do Damage,” from last September, coordinates the way the team tells the story of the legendary Fenway Park, and shapes the fan experience on game day. 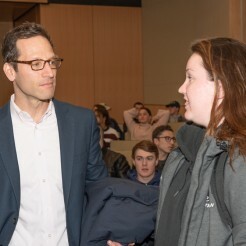 At the same time, he noted that working for the Sox is more of a lifestyle than a job you can punch out of. 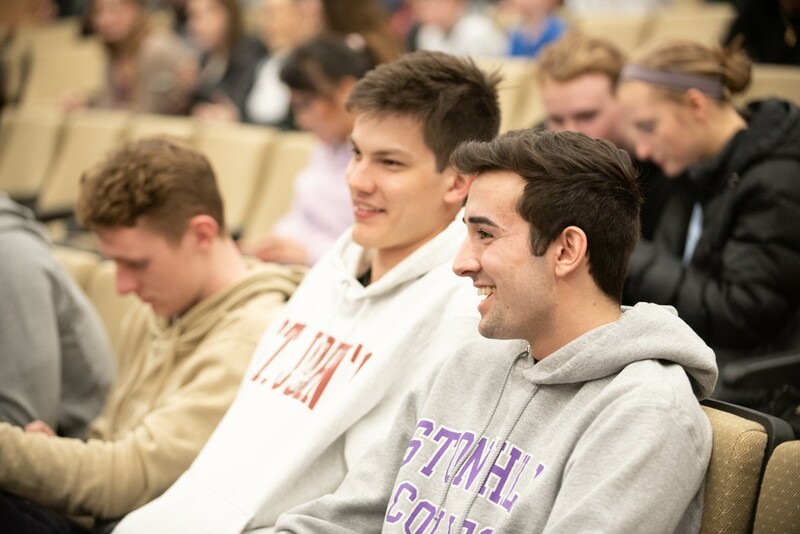 Things can change in an instant, like when Neil Diamond flew himself to Boston to sing Sweet Caroline at the first game after the Boston Marathon bombing. 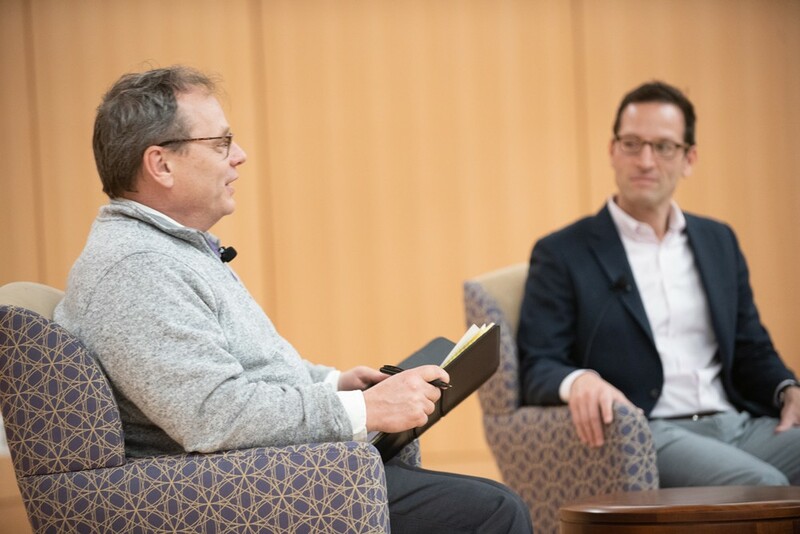 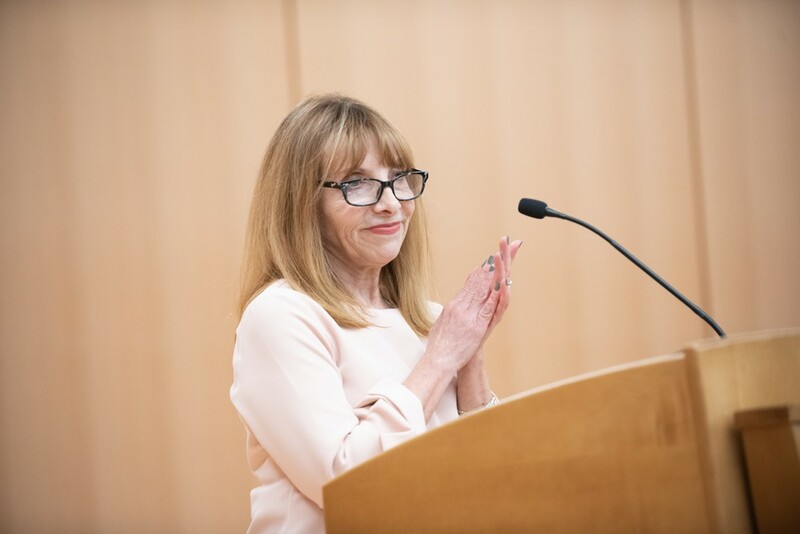 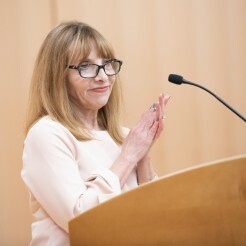 Grossman made clear how fortunate he was to have a job he truly loves—it makes his marketing efforts more meaningful and refines his eye for a great story. 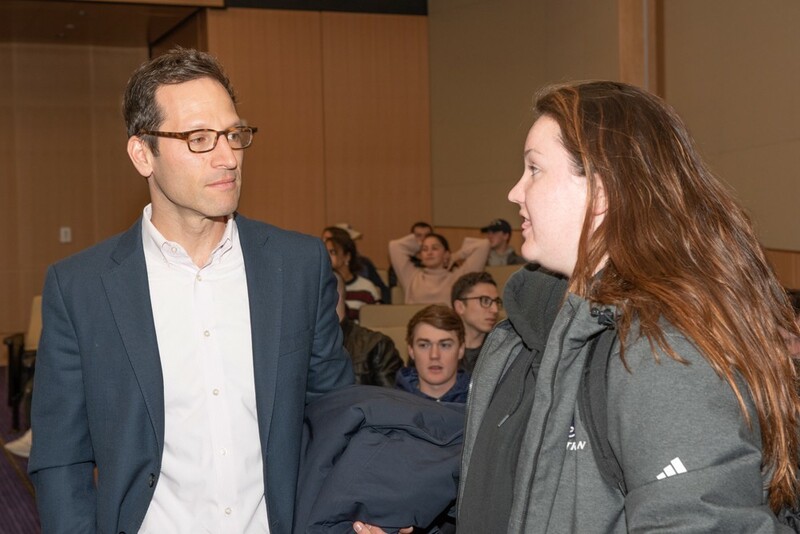 He advised students aiming to work in marketing to get close to people and their stories through networking, and that they are going to have to really want it to work in the field.